I have always been the mom that tries an herbal remedy before a synthetic. When my boys were little, we had a big supply of teething tablets, and a box of essential oils. As they grow, we still use many of the oils, but for different things. Recently a mom was asking me what I used when my kids had ear pain, and of course I told her some of the ingredients that are in the Oilogic Ear and Tummy Troubles. So many of these oils are helpful for ear and tummy pain. For ear troubles, roll on Oilogic® Ear & Tummy Troubles Essential Oil blend on the outside of the ear and behind ear in a downward motion to neck. Do not put directly in the ear. For tummy discomfort, roll on generous mount on tummy and follow with "I Love U" massage (seen below). 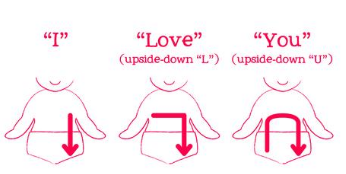 Repeat "I Love U" motion 3 times. Roll-on not intended to use more than twice a day. 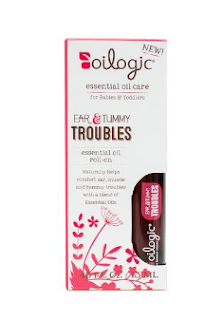 You can purchase the Oilogic Ear and Tummy Troubles online here for just $9.99!